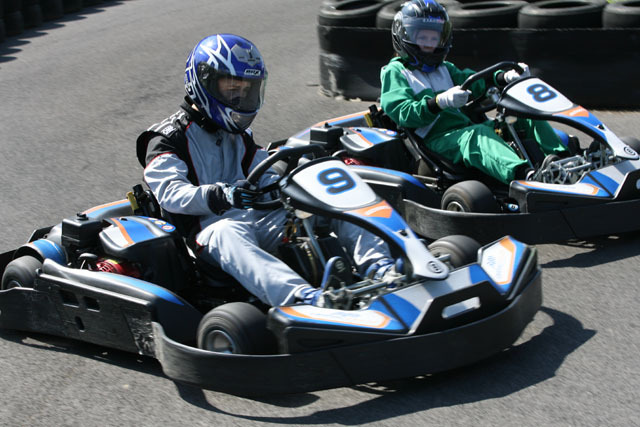 We offer kids karting party packages and junior go karting parties that are great for birthday parties or just for a bit of fun! Our Junior Karting is for kids aged 10 – 15, min height 4’8” (142cm). 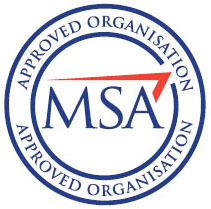 Based at Castle Combe Circuit in Wiltshire boys and girls can learn top class racing skills, under the professional supervision of our marshals and experienced instructors. Our Junior Karting sessions can be done as a ‘one off’ or drivers can progress and eventually get to race in our Junior Championship Kart Races, it’s completely up to you. 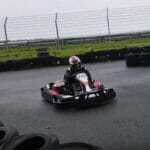 If you have never been karting with us before then this is you! We class you as a Novice. When you have been signed off as ready to race by the Race director then you can compete in our Junior Championship Races. We hold two Championships in a year Spring & Autumn. Each Championship runs over 10 -11 rounds (only drivers top 5 scores count, so you don’t have to do every round). Jacob had an amazing time and so did all of his friends, they all said that it was the best birthday party they have ever been too. Thank again for all of your help and organisation. To sum it up….’I had the best day of my life!’ and that was just the members of staff! No seriously. the whole group came back absolutely buzzing, they just loved every minute of it. (the weather helped) What a great experience for them and also that they got to see the real race cars! Your team made a lot of people very happy. Thanks you so so much. We just wanted to say what a fantastic day we had on Saturday for Sami’s 12 th birthday party. We would appreciate it if you could extend our thanks to the team who worked with us on Saturday. They made the event even more enjoyable and we really appreciated how smoothly it ran and their enthusiasm even on a freezing cold morning. 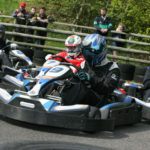 The boys loved the go karts and felt they had lots of time to drive them and loved the printouts of their times. It is amazing and totally worth it the staff are kind and helpful .